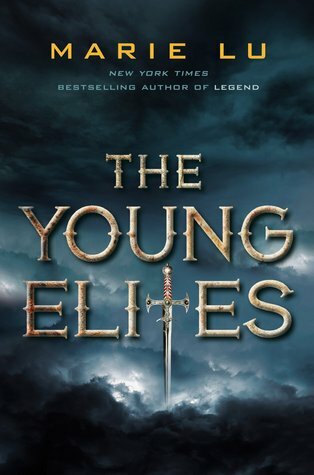 This entry was posted in Books, Reviews and tagged books, marie lu, reviews, the young elites, YA. Bookmark the permalink. Oh, do you think Adelina is no longer going to be the protagonist of the sequel? I’d be so disappointed if that’s the case – maybe she and the new character will both be protagonists? I was really surprised by how much I enjoyed this book. I really liked it, but also found it to be around 4.5 stars. Still, looking forward to the sequel! And Mistborn is on my TBR! I just bought the DRM-free Kindle edition bindup and am so excited to read it. It might be both Adelina and the new character since it is called The Rose Society, which based off something in the book it does seem Adelina is supposed to be the founding member of it, which I didn’t think of while writing the review. I do think the epilogue was set-up for more of that character too though. I’m really enjoying Mistborn and I’m going to have to buy the next two books before too long I think! Nikki (There Were Books Involved) says it’s fine to take a break between books 1 & 2 if other books need to be read, but books 2 & 3 really need to be read together, so that’s what I’m planning on doing! I really enjoyed this one for the darkness and the world-building. And the awesome set-up to this series, because I’m really excited to see where Marie Lu takes Adelina. I’m glad you enjoyed this so much too! I can see what you mean about forgetting about the book after you’ve read it though, I think I feel the same way maybe because while I like all the characters, I don’t completely sympathize with them. I’m hoping the series as a whole will blow me away though as everything fits into place. A lot of people really seem to love the Legend trilogy by Marie Lu (I haven’t read it yet), so I’m hoping this one will really deliver too! I do sympathize with Adelina and Rafaella somewhat, but yeah, they’re not a particularly innocent group of people. I would like to read Legend some time since I’ve heard so much good about it! Great review and it’s good to hear your thoughts as I missed them at book club. I really enjoyed it and like you I agree that the main character was dark but not as dark as I thought she would be before I read it. I appreciated how unique the plot felt and the end of the book made me so excited for book 2! Glad we’re in agreement! Asti said she was disappointed because she wanted Adelina to be darker, so it was interesting to hear her perspective on that!